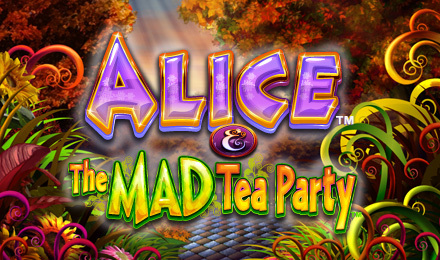 Alice and the mad Tea Party is an enchanting online video slot game. Based on the famous movie, it's full of FREE spins, multiplied wins and more! What are you waiting for? Take a trip to Wonderland today! Enter the famous Wonderland in this magical online video slot game following the ever famous Alice. There are loads of bonuses, all of your favourite characters and more! When you spin 3 Alice symbols, you'll activate the Super Mad Re-spin feature! Then choose a teapot to find out how many re-spins you've won. During this bonus, Alice will act as your Wild. That's not all, though. There are also multiplied wins, scatters, stacked symbols and more! If you love the movie, you're going to love this game. Re-live those childhood memories, and play today!